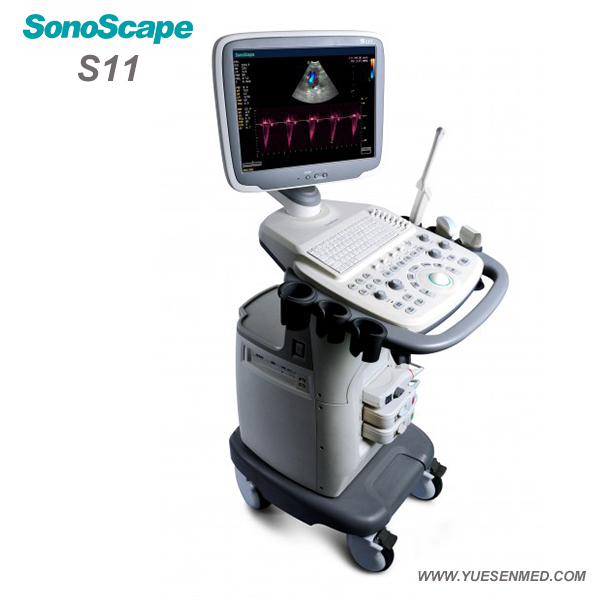 The S11 is SonoScape's trolley color Doppler system which is a value choice beyond your expectations but not your budget. It redefines price and performance with practical design. As an easy-to-use ultrasound system, the S11 is integrated with a new software platform, especially optimized for smooth workflow and convenient operation. The system will speed up the exam process and simplify file management . 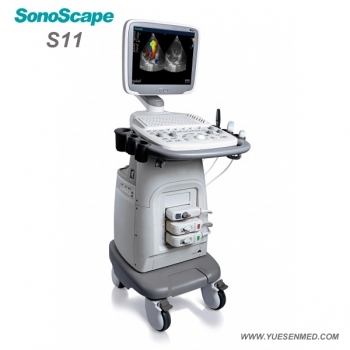 The S11 will help you diagnose quickly and easily. 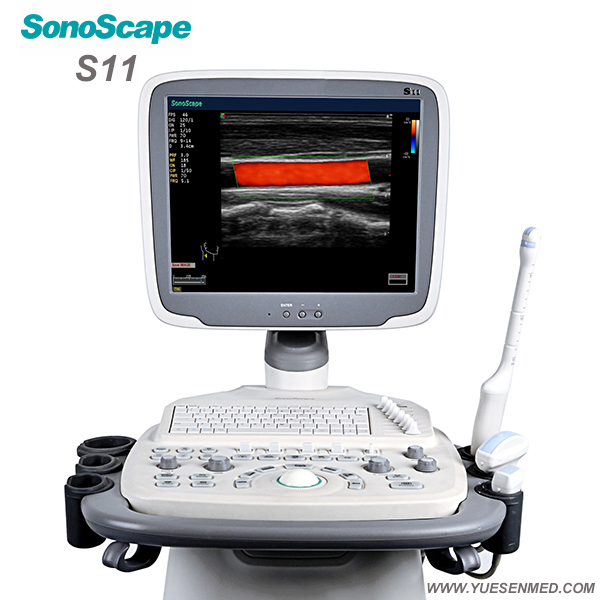 SonoScape's speckle reduction technology used in the S11 will enhance the image acquisition and increase diagnostic accuracy. The new patient file management software will enhance the operational workflow. User-definable pre-sets and shortcut keys will help you work in your own style. Panel and keyboard layout are designed to allow greater functionality for the operator. The powerful new platform provides a seamless experience for all users. S11 offers comprehensive data storage, transmission solutions and intelligent data management. It also offers easy access to customize the settings according to your own preferences. Smart patient file management makes it easy to retrieve patient image and data at any time. 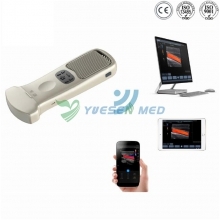 The S11 can be used in all general applications, including Abdomen, Obstetrics, Gynecology, Small parts, Muscle-skeletal, rheumatology, Vascular, Urology, Cardiology etc. Access to a wide range of compatible transducers, including, Convex, Micro-convex, Transvaginal, Transrectal, Linear, Intraoperative, Phased array, 4D Volumetric transducers etc. Due to the S11’s supreme performance during strict tests, it has become favored among customers both at home and abroad. 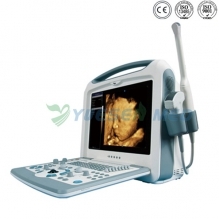 Complete Scanning modes, outstanding 2D performance, sensitive blood flow, freehand 3D and volume 4D imaging technology, endow the S11 with the best package for all applications in its class, especially women's healthcare. The S11 can ensure an excellent 2D image with advanced transducer techniques, including Quad B mode, convenient AFI measurement, endocavity transducer with wide scanning angle and temperature detection. The specially designed biopsy can guide a wide range of transducers.S11’s 3D/4D acquisition can enable a strong emotional connection for expectant mothers.